According to previous news, Xiaomi has launched Android7.0 OTA since November, 2016, the first smartphone to update Android 7.0 is Xiaomi MI5, which is the once flagship smartphone before. After Xiaomi MI5 upgrades to Android 7.1.1 OS, other smartphones will also catch up with updating. There are some models of mi phones which will upgrade to Android7.0, right now Xiaomi Redmi Note 3 has got Android7.1.1 update which has spotted at GFXBench. According to GFXBench, it shows Snapdragon 650 Hexa core processor, coming with 5.7 inch 1080P screen, RAM 3GB ROM 32GB internal storage, equipped with dual camera with 16MP back and 5MP front. 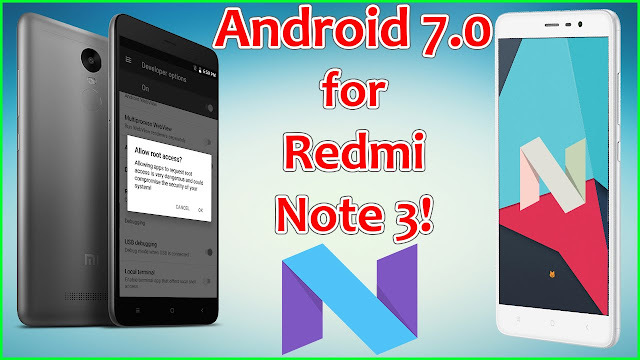 Therefore, it should be Redmi Note 3 netcom version, in the past, we have no idea if Redmi Note 3 can also upgrade to Android7.1.1. It’s apparent that Redmi Note 3 has missed Android7.0 update, and upgrade to Android7.1.1 OS directly. As you know, Redmi Note 3 has become the most popular android smartphone with high-end specs and competitive price, although right now Redmi Note 4 has come out. But it is really good news that Xiaomi Redmi Note 3 upgrades to Android7.1.1 at once. But we don’t know when Xiaomi releases Android7.1 OTA for other models. Enthusiast of technology. Big fan of this Chinese manufacturer that is Xiaomi Inc, which offers good quality electronic devices at a very competitive price.